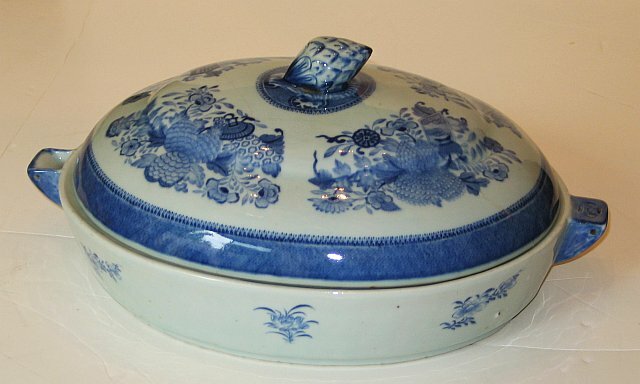 Chinese blue and white export oval server with hot water compartment. Nanking pattern; acorn finial. Repair to lid.